Home > Ceramic Braces > Health Feed > Tips > Choose the Braces Which Suits You! Choose the Braces Which Suits You! Dental braces have become more common nowadays. In fact, nearly 4 million people in the United States are wearing braces at any one time, according to the Pennsylvania Dental Association. While dental braces used to be all metal, you will find many different types of braces today. If you’re considering braces for yourself or your child, you have many options. Your orthodontist will help you make the best choice for your scenario, but here are the basics of each type. 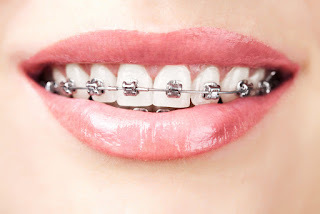 Traditional metal braces are made of the stainless steel brackets and wires that inspired the term “metal mouth” years ago. Fortunately today’s metal braces are noticeably smaller. And new heat-activated arch wires move your teeth more quickly and less painfully as they respond to your body’s heat. Ceramic braces mock metal braces in shape and size but they use tooth-colored or clear ceramic brackets that blend more naturally into your teeth. Some even use tooth-colored wires to keep your treatment even lower profile. Lingual braces use the same metal brackets and wires used in traditional braces, but the brackets and wires are installed on the inside of your teeth to keep them hidden. Invisalign consists of a series of customized, clear BPA-free plastic tray aligners that are removable and typically replaced every 2 weeks to keep your teeth moving in the desired direction. 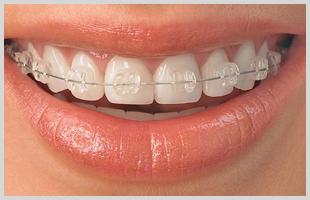 Other braces may involve the use of nickel-titanium or copper-titanium for the wires and brackets. These metals may last longer and require fewer adjustments than stainless steel wires. Most dental braces also involve the use of tiny rubber bands to help move your teeth. If you have any sensitivity to latex or certain metals, your orthodontist can help find a suitable alternative for you. So let’s take a look at the advantages and disadvantages of each type. Treatments with both braces and Invisalign typically involve some use of retainers or mouth guards afterwards to maintain the new position of your teeth. Kids should be evaluated for orthodontics by age 7, according to the Indian Orthodontic Society. By this age, your orthodontist can detect even subtle issues with jaw growth and emerging teeth. While most kids begin treatment between ages 9 and 14, your orthodontist will help determine whether it’s best to wait or begin treatment right away. Many orthodontists recommend treatment while your child is still growing because it can take longer and be more intensive to treat teeth after they’ve stopped growing. Lastly, kids who receive early orthodontic treatments (like appliances to correct cleft palates) may still need braces later. But the early treatment attempts to prevent further issues from developing while providing a healthier environment for the growth of permanent teeth. Keep in mind that while some dentists perform orthodontics, an orthodontist specializes in treatments like braces and Invisalign, having 2 or 3 more years of education and training than is required for a dentist. Braces - Which Type Is Best For You! Multivessel Stenting Vs Bypass Surgery - Which is Better?